The well-known Russian Playwright Anton Checkhov once wrote “Knowledge is of no value unless you put it into practice”. Nothing could be truer when it comes to achieving efficiency in customer management. The “practice” of knowledge as it relates to customer service varies by organization, but clearly the goal should be (for any organization) the desire to establish an efficient, consistent process for meeting the demands on the most frequently requested (and thereby necessary) knowledge bits and bytes that live at the heart of your product offering. Careful listening is by far the very best way to build credibility in customer service – why? Your relationship with that customer becomes stronger each time you are able to service their individually unique articulation of a particular question, problem, or issue. I truly believe there is a significant difference in customer impact when a problem is solved with written communication as opposed to a passing conversation. Furthermore, any future customers that encounter similar problems will make an identifiable connection through the benefit of written communication — consider the reasons why — someone took the time to document precisely what their question or issue was the problem was already experienced by someone else, or perhaps many others by responding in writing, customer support genuinely endorsed the validity of the issue. Thus, the “practice” of knowledge from a tools perspective manifests itself in the form of a knowledge base of reusable archives. You would be hard pressed today to find a help desk or CRM system that does not have this feature, but there are some distinct differences when it comes to how much work (and what kind of flexibility) it takes to develop a good solid library of reusable archives. The first place to start when it comes to looking for a CRM or Help desk knowledge base feature is the capability for a customer or external constituency to report and self-manage questions, issues, and problems in their own words. This ensures that your tool can capture the level of granularity that your customer may want to start with, and that once the knowledge base article is added it will contain a solution that truly reflects customer intent. State Change – look for a system that enables a CSR or admin to create state change on a customer-originated issue. The state change would transition the issue from open to (for example), to “closed – knowledge base” without having to create the article from scratch. Publishing – look for systems that enables instant publishing as opposed to batch processing or convoluted processes that slow archives approval. Content – create solutions that contain rich content – many of today’s knowledge base tools have added document-editing panels (similar to MS Word) that provide word processing features, enabling you to create rich content. Flexibility – demand a system that gives you options on how your knowledge base articles will be displayed – when it comes to knowledge base preferences, you can please some of the people only some of the time with a “one-size fits all” approach. 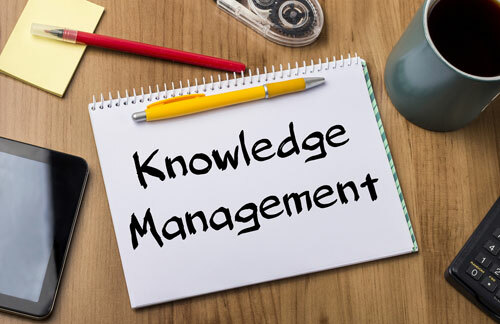 Security – ensure that knowledge base articles have security settings so that certain types of external users are limited in what archives they are able to access. A bit of solution shopping and careful consideration up front will go a long way in building stronger relationships with customers with well planned, collaborative knowledge sharing. Leandro Goldberg is a blogger and CRM Advisor at Support Fusion. Test Your Customer Service Knowledge! Previous article: Oh No, I Don’t Want to Be a CSR Anymore!